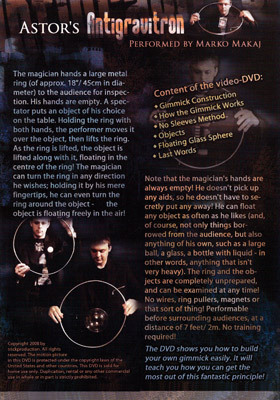 This dvd is very direct and explains the gimmick in great detail. I would highly suggest this video to anyone thats works with ITRs. The best part is the levitation is the coke bottle. Its not what you think you see its what you dont see that makes it great! So yes i gave this video 5 stars.